Now that the Polar Vortex has finally released its icy grip from the Big Apple’s throat, Just keep in mind this little prose/poem when the summer temps hit the high 90s and New York City becomes the Big Apple Fried Fritters. 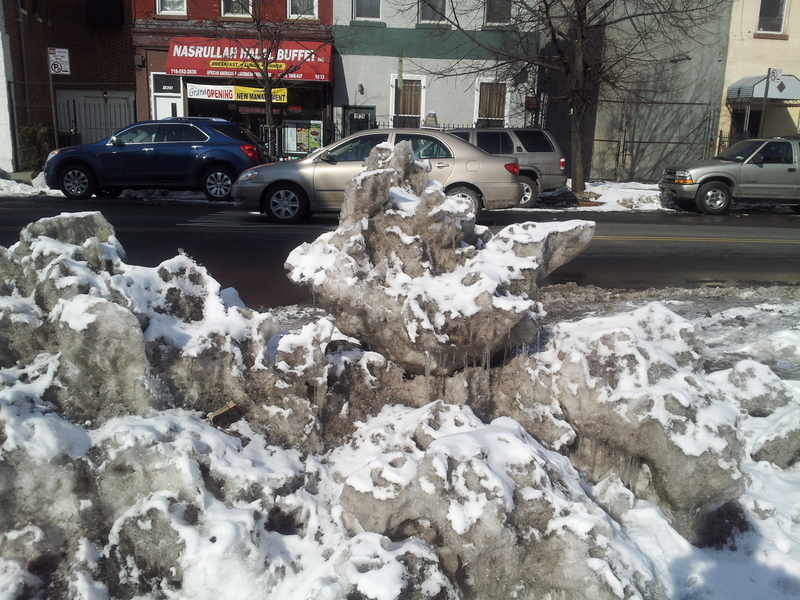 Gotham a frozen Wasteland bordered by filthy fallen ice bergs lining alternate side of the street parking. Flesh flayed by snow ice razors slashing any exposed skin, pummeling Eskimo hide thick coats, sweaters, thermals, socks, boots, hats, gloves. Dagger driven Stalactites and stalagmites primed to guillotine busy commuters racing whipping winds hindering purposeful movement. Sidewalk streets concealing threatening black ice ready to break bones. Genteel timid Silly Walks a narrow twisted slow motion dance around and over snow removal made dirt mountains. 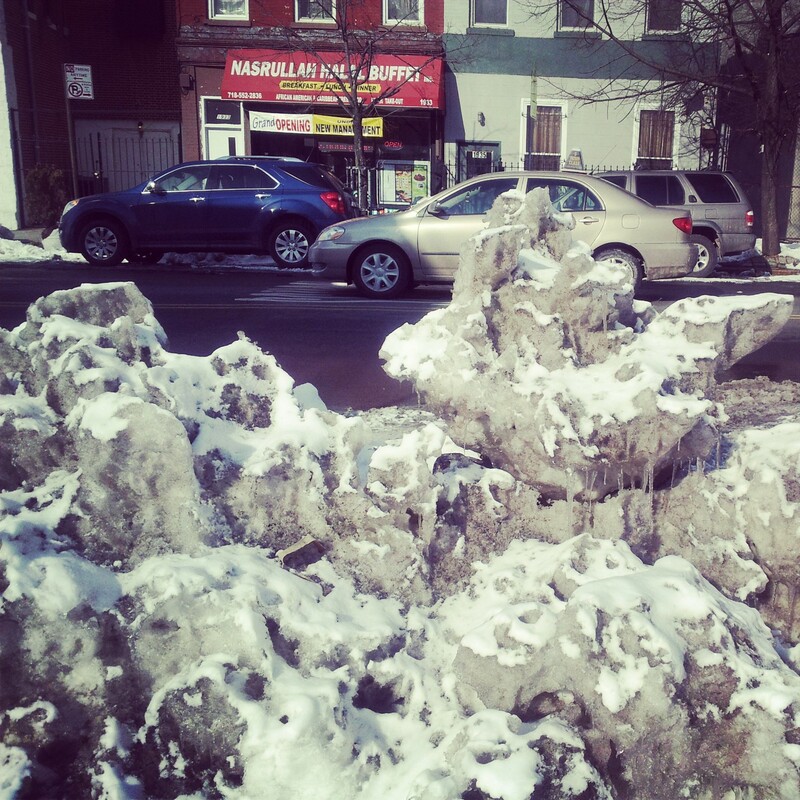 Empty blizzard sleet filled neighborhoods with only a few Yetis braving truly Abominable Old Man Winter.